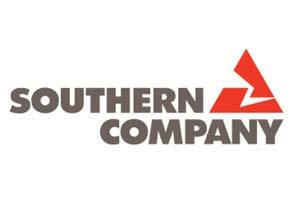 The Southern Company (NYSE:SO) Company reported earnings Wednesday, matching revenue expectations but slightly underwhelming on earnings. With costs headed higher, let’s take a look to see if this dividend stock is priced for perfection. On top-line growth, The Southern Company (NYSE:SO) nailed it. The utility pulled in $3.9 billion in sales, 8.1% higher than Q1 2012 and a respectable 4% above analyst expectations. On adjusted earnings, The Southern Company (NYSE:SO) managed just fine. Diluted EPS clocked in at $0.49, missing the market’s $0.50 prediction by one cent. But to make money, you have to spend money, and The Southern Company (NYSE:SO) spent more than Wall Street (or the company itself) expected. Unadjusted earnings added up to $0.09 EPS, compared with $0.42 for last year’s first quarter. The two main cost culprits: (1) a $16 million after-tax charge from restructuring a leveraged lease investment and (2) a $333 million after-tax charge for increased construction costs at a new Kemper County, Miss., power plant. In keeping with our commitment to customers, The Southern Company (NYSE:SO) Company will fully absorb the increased costs related to the Kemper project. This decision enables us to maintain our commitment to the Mississippi Public Service Commission under the settlement agreement, while retaining the benefits of 21st century coal for customers. The most recent earnings report comes after a flurry of press releases earlier this week announced a newly increased dividend, purchase plans for 250 MW of wind, a 139 MW solar acquisition, and cost troubles at the Kemper plant. Southern’s strategy isn’t so different from other utilities. Its current 4.2% dividend yield puts The Southern Company (NYSE:SO) above most other utilities, but it’s not a dividend stock standout. American Electric Power Company, Inc. (NYSE:AEP) also announced a 4.3% dividend increase this week, marking its 412th consecutive quarter of dividend distributions. Southern’s venture into renewables isn’t a solo sojourn, either. Earth Day announcements shed green light on a variety of utilities’ environmental efforts. Southern’s teaming up with First Solar, Inc. (NASDAQ:FSLR) for its solar foray, while a partnership with Ted Turner’s renewable energy company will wind up Southern’s wind capacity. While Southern’s 1,250 MW of renewable generation capacity don’t count for much of its 43,500 MW total generation, Atlantic Power Corp (NYSE:AT) is banking heavily on wind to pull its profits out of the red. The smaller utility acquired wind-heavy Ridgeline Energy last year and plans to focus on natural gas and renewables for future growth. Excluding one-time costs, there are no major movers for this dividend stock’s new earnings report. Weather was the main reason for the utility’s $0.07 year-over-year improvement, pushing retail sales up 2.3%.